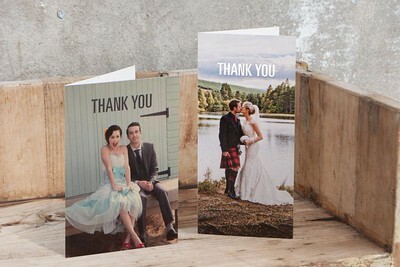 What better way to say thank you to all your guests than with a personalized card. These high quality cards are printed with your chosen picture and message inside. This product can also be used as wedding invitations. Preview books, or proof books are a great way for you to choose your album pictures and for family members to view and order there pictures from. 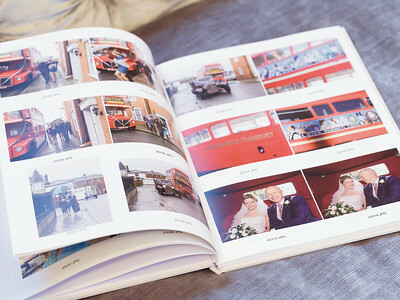 They are a book containing all your wedding images. These books are printed using the latest digital printing technology and bound together by hand. Have your guests create a lasting memory of your day with a signature board. These have become a popular alternative to a guest book. Leave this elegant mounted print out at the reception for all your guests to leave a special message. These memory sticks contain all your wedding day pictures for personal printing, copyright free. It also includes low resolution files, ready to use on computers, facebook, etc. These eco-friendly wooden boxes come in two personalised finishes. The Laser Etching finish, that has your chosen line art engraved into the surface, or an Image finish where your photo is printed directly onto the wood. Have you thought about how you could make paying for your wedding photography album or wall prints? We offer a gift voucher scheme to help you do just that. 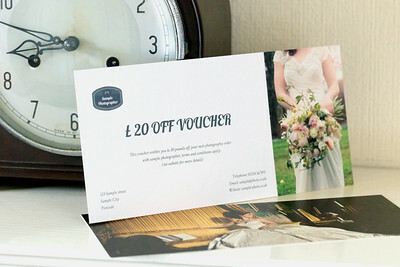 Simply add J Stock Photography's gift vouchers as an option on your guest list and let us do the rest. Your gift voucher can be used against any product or service. These are only some of the products available. Please feel free to contact me for a friendly chat if you have any questions about any other services or products.